Columbus Day, Halloween, Veterans Day, Thanksgiving, Hanukkah, Christmas. The busy holiday season awaits. OK, maybe you aren't going to get dressed up as the "Santa Maria" and march down Main Street on October 8, but there are still enough other tasks to accomplish this time of year to dissuade you from the garden. The good news: here are some yard chores you don't have to tackle this time of year. 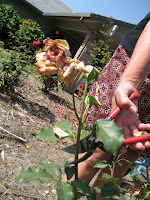 • Don't deadhead your roses. Many Northern California rosarians are now advising rose growers to let those fading October flowers remain on the plant. This will force the rose bush to form hips, which helps the plant slow down in preparation for the January pruning season. Because cold winters are not a certainty here, roses have problems entering complete dormancy in our area. Not pruning roses now tells the plant, "Time to take a nap!" • Don't prune your shade trees until the last leaf has fallen. Then, it will be easier to gaze up into the canopy of the tree to decide which branches need to be trimmed or removed. Good reasons for pruning trees include removing or cutting back branches that are rubbing each other or the house. Low branches that impede foot traffic or suckers emanating from the base can be removed at that time, too. If you think you won't remember the dead branches that will need to be removed when all the leaves are gone, go ahead and mark those branches now with ribbon or green tree tape. • Don't Prune Citrus Trees. 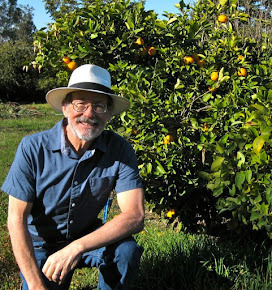 Lance Walheim, author of the books "Citrus" and "All About Citrus & Subtropical Fruits", says early fall is the one season to avoid taking a saw to your orange, lemon, mandarin and other citrus trees. The soil is still warm, which will push out new growth wherever you made a pruning cut. And that new growth will be more susceptible to frost damage during the late fall and winter. • Don't Prune Apricot and Cherry Trees. Apricots and cherries are susceptible to Eutypa dieback, a disease which kills branches. 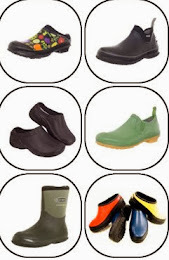 Infection occurs on wounds made during wet weather. You need six weeks of dry weather after pruning. Prune these trees after harvest in late spring or early summer. 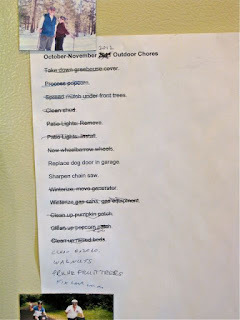 And now, for you masochists, some autumn garden tasks to add to that growing list on the side of the refrigerator. 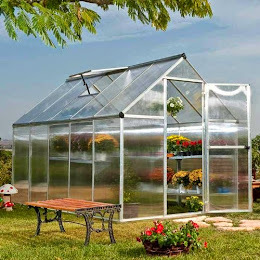 • Clean up the summer vegetable garden. Many garden pests overwinter in fallen fruit and twigs, too. • After you've cleared out the dying summer vegetables, prepare for next year's garden by checking the soil pH. Test kits are available at just about every nursery. • Tomato hornworms are going into hibernation in the soil beneath your tomato plants. 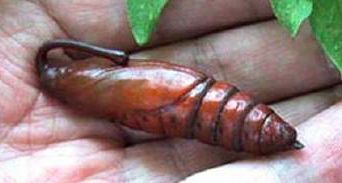 Dig down about four inches and discard their cocoons, which resemble two inch-long, reddish footballs. • Feed your bare garden soil during the winter with a cover crop of clover, fava beans or vetch. This will add nitrogen for next year. 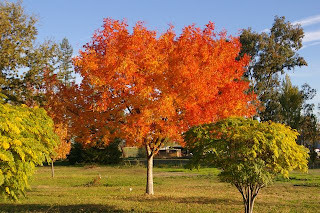 • This is a great time for planting new trees and shrubs, especially ones with outstanding fall foliage for California. Good specimens include Japanese maples, Chinese pistache, tupelo, red oak and scarlet oak. 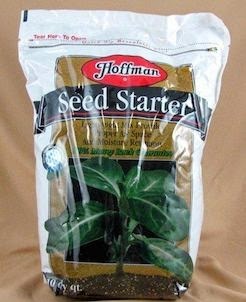 • Vegetables to plant from seed now include radish, spinach, fava beans, carrots, swiss chard, corn salad, leaf lettuce, onions and peas. • Despite the cooler temperatures, your lawn and garden still need about an inch of water a week. Unless the rains come, keep your automatic sprinklers operating. How much water is an inch? Here’s how to measure. 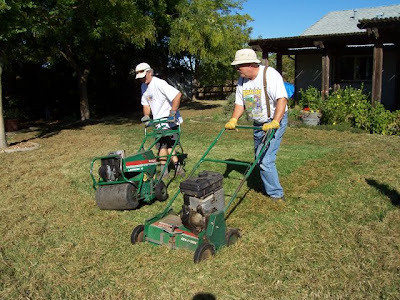 • Cool season lawns, such as the popular fescue blends, are putting on a spurt of growth now. 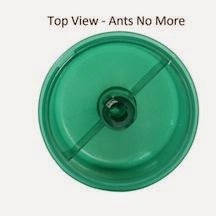 Mow often so that you are never removing more than a third of the total height of the grass blade. • Dethatch, aerate and overseed bermuda grass lawns with rye grass to keep it green all winter. At a loss of how to start? Here’s how. • This is a good time to plant ground covers such as low growing manzanitas, verbena and carpet bugle. This will give their root systems a chance to get established for their burst of spring growth. • Scatter and plant tulip and daffodil bulbs outdoors for a more natural look. • Add some indoor color for the upcoming holiday seasons by planting bulbs in containers. Your favorite local nursery has a good supply right now. • Feed and protect rhododendron and azalea roots during the winter by adding two or three inches of mulch around those plants. More on the benefits of mulch. • Available now at nurseries: colorful winter blooming annuals such as violas, calendulas, stock, Iceland poppies and snapdragons. • Temperatures dipping down below freezing can occur in many of the interior areas of Northern and Central California in early November. Prepare for that possibility by moving frost-sensitive potted plants indoors or against a west or south-facing wall. 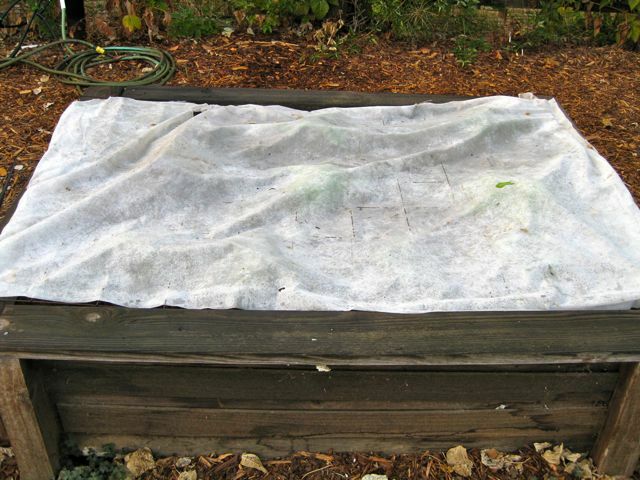 • Row covers, hot caps, and water-filled containers surrounding young vegetable seedlings offer these plants a warmer nighttime environment. • Prepare for the rainy season by knocking down watering basins around trees. Could a Cherry Tree Tent be the Answer? We've posted before about a huge threat to backyard cherry trees in our area: the cherry maggot, also known as the Spotted Wing Drosophila. SWD is responsible for the little worms that backyard gardeners are starting to find in their cherries, and to a lesser extent in raspberries, strawberries and blueberries. 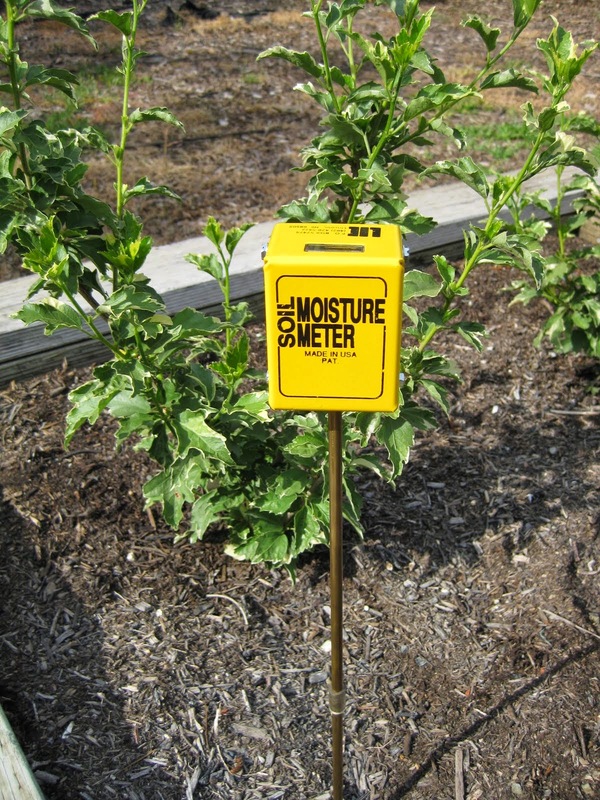 An experiment conducted at the Fair Oaks Horticulture Center this past year by Sacramento County Master Gardeners may provide an answer to this growing problem throughout the West. This was originally published in the Sacramento County Master Gardener Newsletter of Sept. 2012. The problem: Spotted wing drosophila (SWD), is a gnat-sized fruit fly first found in 2008 damaging fruit in many California counties. Unlike the common vinegar fly that attacks rotting and fermenting fruit, the SWD infests ripening, undamaged cherries as well as ripening raspberry, blackberry, blueberry, and strawberry crops – especially in coastal areas. Prior to 2011, no SWD damage was found on the multi-grafted cherry tree at the Fair Oaks Horticulture Center. In 2011, the early varieties escaped damage, but the later varieties were totally infested. 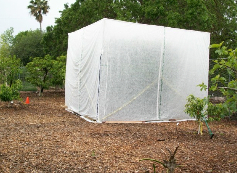 In an attempt to prevent fruit loss in 2012, and to demonstrate to homeowners a possible cultural means of preventing infestation, the orchard group decided to tent the tree. The tent: Mary Kay Ryan and Patty Peterson designed a structure to cover the tree while still allowing the harvest of seven varieties of cherries ripening at different times. The tree was pruned to just under 10 feet. Mary Kay and Patty used 1” schedule 40 PVC to create a large box frame anchored to the ground at the corners. The tent itself – 13.6 feet wide, 13.6 feet long, and 10 feet high – was sewn by Patty using 30-weight Agribon row cover and included a 110” sleeping bag zipper to allow easy entry. Diagonal guy wires and PVC clamps ensured the tent would not slip or be pulled due to winds. The bottom edge of the tent was weighted down. The tent was erected 4 weeks prior to the first harvest. The cost of the tent: approximately $200. 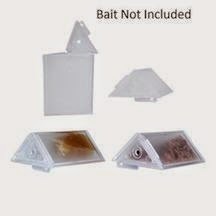 Traps: One SWD trap was placed outside the tent, and one trap inside the tent to monitor activity. A few male SWDs (with distinctive wing spots) were found in the outside trap during the season, but an exact number of SWD males was not determined, as there were many similar small insects in the trap. No SWD males were caught inside the tent. Temperature observations: Because we were concerned about heat build-up in the tent, two recording thermometers were placed in the canopy of the cherry tree at 6 feet height under the Agribon from May 14 through June 19. 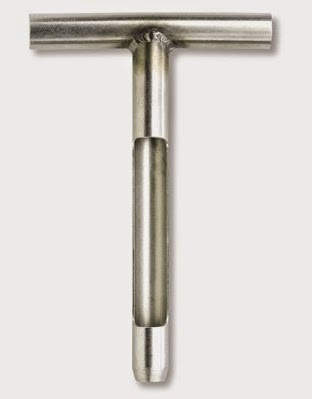 Two additional thermometers were placed at the same height in an uncovered fig tree of similar size. 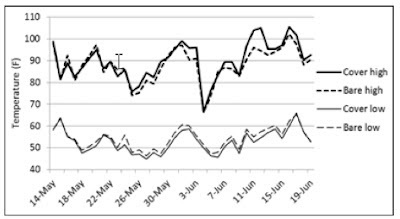 The low (nighttime) temperatures were on average 3 degrees cooler in the tree under the Agribon than in the uncovered tree (see graph). The high (daytime) temperatures under the Agribon were on average 2 degrees warmer than the uncovered tree. On days over 90F, temperatures under the Agribon were still only 2.5 degrees warmer, but during one 3-day period, temperatures averaged 8 degrees warmer. Harvest: While harvest was a bit challenging (quickly entering/exiting the tent as well as moving ladders during harvest in a cramped space), overall it was a success with a full crop of undamaged, delicious cherries! Other issues/drawbacks: The size of the tent required a number of us, with ladders, to assist in its assembly. The tent did suffer some damage near the bottom – we believe from a raccoon or similar creature. Several tears appeared overnight but were quickly repaired. Additionally, the tent suffered some wind damage along the bottom edge. We originally used 2’x4’s to secure the tent bottom, switching to soil to prevent further tears. On the plus side, we were able to disassemble the tent relatively quickly and store the parts for next season. Conclusion: While our experiment was certainly not scientific, we do think of it as successful in that we avoided fruit damage of any kind on a fairly large tree with varying harvest periods. It does provide another option for homeowners who may be dealing with SWD. 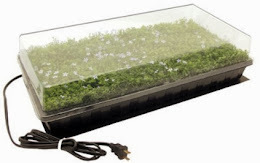 Although expensive initially, the cover should be reusable for possibly several years. In January 2013, we will espalier a cherry tree, and when the tree begins bearing we will secure row cover over it in the spring. This will provide demonstrations of both training and pruning on a trellis and a practical method of controlling SWD, since covering an espalier tree should be much cheaper and easier than a large tree. For more information about the Sacramento County Master Gardener Program, including links to their wonderful 2013 Gardening Guide and Calendar, click here.